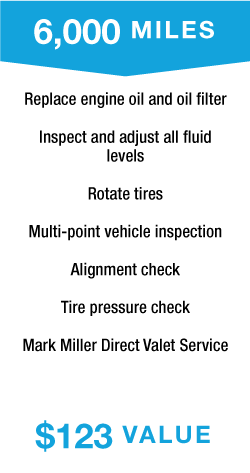 *All New Subaru’s sold at Mark Miller Subaru will receive a complimentary 24 month/24,000 mile Subaru Added Security Maintenance Agreement. 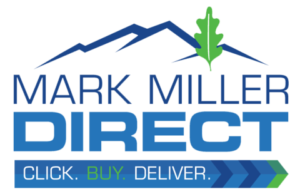 Mark Miller Direct – Tell us when and where we can pick up your vehicle, and we’ll come to you! Your vehicle will be returned to you within 24 hours. Loaner vehicles are available for your convenience. $500.00 Loyalty Coupon* – Voucher to be used when purchasing or leasing another new Subaru within the next 4 years from date of purchase. 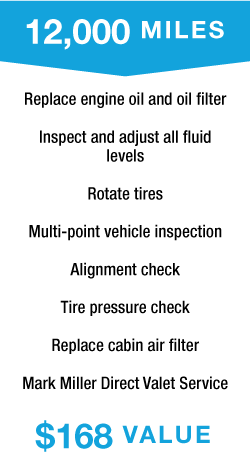 This is provided through Subaru of America and is on top of your Promise Price. 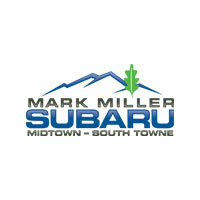 $500.00 Extra Trade In Allowance – Must trade in current vehicle and must have all service done at Mark Miller Subaru. 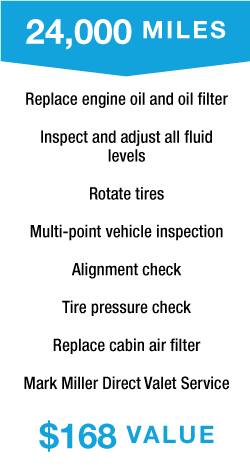 Includes 30,000 Mile Service, 36,000 Mile Service and adds a year of coverage. Includes 30,000 Mile Service, 36,000 Mile Service, 42,000 Mile Service and an additional year of coverage.